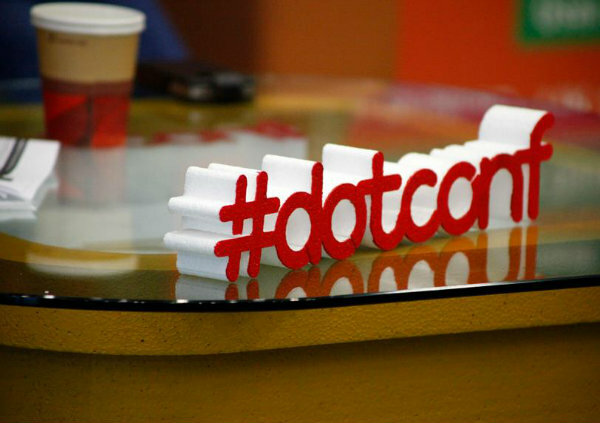 Ireland’s online community will be going dotty tomorrow, at the dot conf digital conference at National College of Ireland. This is my very favourite event of the year, because it hits that sweet spot between what I love, what I’m good at and what I’m paid to do. Aimed at digital enthusiasts across the land, the event features talks on bloggers and brands, creativity, digital trends, fashion and social media and much, much more. Check out the running order here, or see what blogging tips could be picked up last year. It’s also sold out for the 4th year running, though you can join the fun online via the live stream on the website, or by following the twitter hashtag, #goingdotty. Kirstie (top left) and a couple of my featured frills! One must-see talk from the day is from Kirstie McDermott and Paula Hurley, from PR firm Market Match. They’re giving a dual perspective on bloggers and brands and anyone on either side of the fence will definitely pick up a few tips. 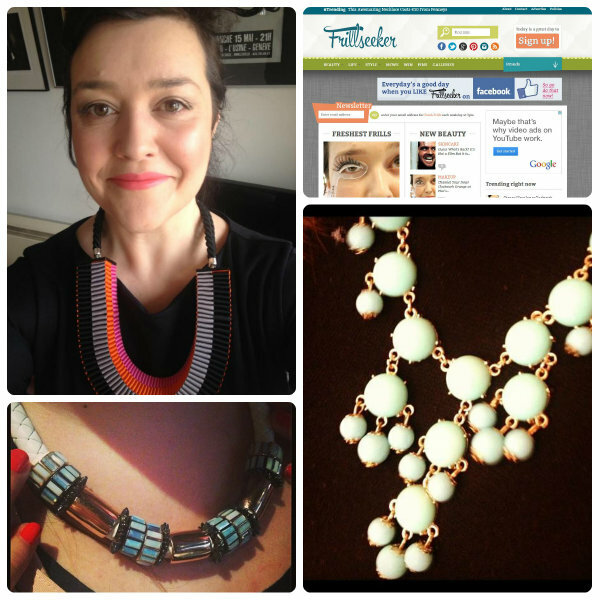 I’ve been delighted to see Kirstie back in the online space with her new site Frillseeker, which has just launched. I have big love for beaut.ie, co-founded by Kirstie and her sister Aisling, who is now running the site solo (with a panel of fab contributors I’m proud to be a part of). Kirstie’s new venture focuses on amazeballs interiors, accessories and all those little frills that make life that bit more fun. It’s always a thrill to be featured in the Personal Frills gallery and you could lose yourself for hours in her pin boards. Make sure you swing by. Last but not least I want to give a shout out to Bloglovin’, which I’ve been using a lot since news broke of Google Readers demise. If you’re currently using Google Reader to keep track of your favourite sites, you only have a few more days to make the switch. Bloglovin’ makes it easy - just click the button in my sidebar to follow Fluff and Fripperies there. It’s also really simple to import your Google Reader blog list (do it HERE). I’ve just done it with mine, and it took less than two minutes to complete. The conference sounds great Emma! I'm preferring using Bloglovin to catch up with all my fav blogs & have also got the iPhone app too!!! Completely forgot to get tickets for this, would absolutely love to go! aww! thanks missis! seeya tomorrow! Pete, there is no way to contact you if you win, can you leave an email or twitter name please? HI Emma, I totally forgot to book my #goingdotty conf tickets and would really hate to miss such great content speakers. I work with lots of clients who start off obsessed with social media before I turn them around to the content is king approach which I can see is definitely your ethos on your wonderful site. So I'm @aoifep and would be so grateful if I could have a ticket for the Dot Conf! PS I'm in Sligo if you ever hit this part of the world and fancy a cuppa! I was so raging when I went to buy my tickets yesterday and they were sold out - was so looking forward to this. I would love to win these tickets! So sorry about that! My email address is amykelly@tridentholidayhomes.ie Thank you. sounds like a fun event. I'm following you on blogloving. Hi I would love (one) of the tickets, I am currently considering a total career change to ICT and would really like to attend for some inspiration!! PS. The pizza and beer sounds nice to. Good luck to the entrants and have a ball at blogconf! Please give me a ticket for this conference!! 1) I signed up for two of the sessions and today when I went to check I realised that it said "Only sign up for this if you have already bought your ticket through Eventbrite" etcetc - thought I had done that, turns out I hadn't, gutted. 2) I flippin hate to do this but I'm a woman and we're all sick of hearing that we need more women in tech. 3) I like to live tweet events so I might help generate a bitta buzz about it. Now that is a fabulous event!!! I'm going to follow it. So much to learn. Thanks for sharing Emma!